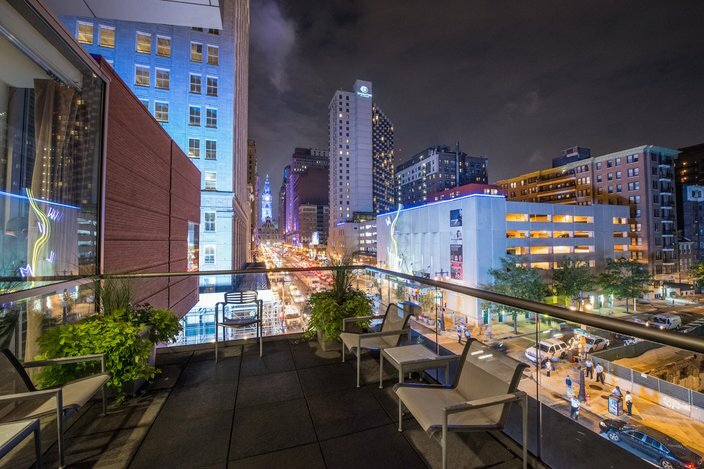 A new bar will open on Wednesday, June 14, on the second-tier outdoor balcony of the Kimmel Center, overlooking Broad Street. The bar will be open Wednesdays through Fridays for extended happy hour and will serve beer, wine, liquor and select foods by Garces. Happy hour will run from 5-9 p.m. $5 beer, $6 wine and $7 liquor will be served. 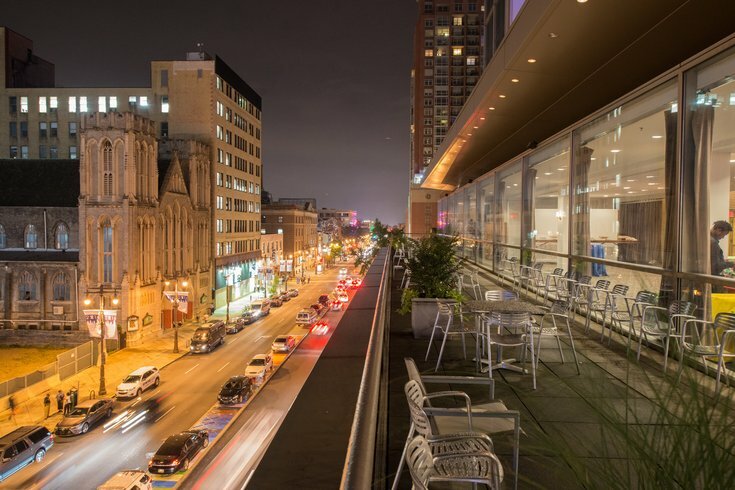 On Wednesdays this summer, Balcony Bar will also participate in CCD Sips from 5-7 p.m. and will offer $3 beer, $4 wine and $5 cocktails. As for food from Garces, there will be pickles, Nashville hot chicken sliders, meatball sliders, black bean burger sliders, margarita pizza, pierogies and shoestring fries. Another view of Balcony Bar at the Kimmel Center.